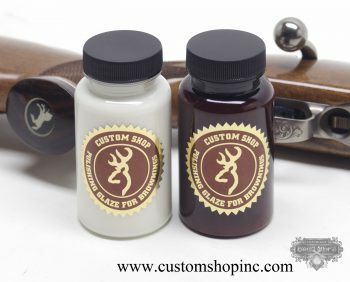 Return Your Prized Firearm To Its Original Luster With A Two Pack Of The Same Products We Use In Our Shop. Custom Shop Polishing Glaze And Final Glaze. Polishing Glaze Gives A Nice Even Glossy Finish. And Final Glaze, To Remove The Smallest Of Scratches And Swirls For The Ultimate Shine! Comes With A Free 16″x16″ Micro Fiber Polishing Rag. 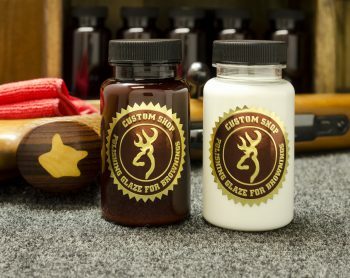 Formulated From One Of The Most Experienced Gunsmiths In Montana, You Will Be Amazed By The Results, Used By Many Members Of the Browning Collectors Association To Bring Their Own Treasured Firearms To The Next Level. 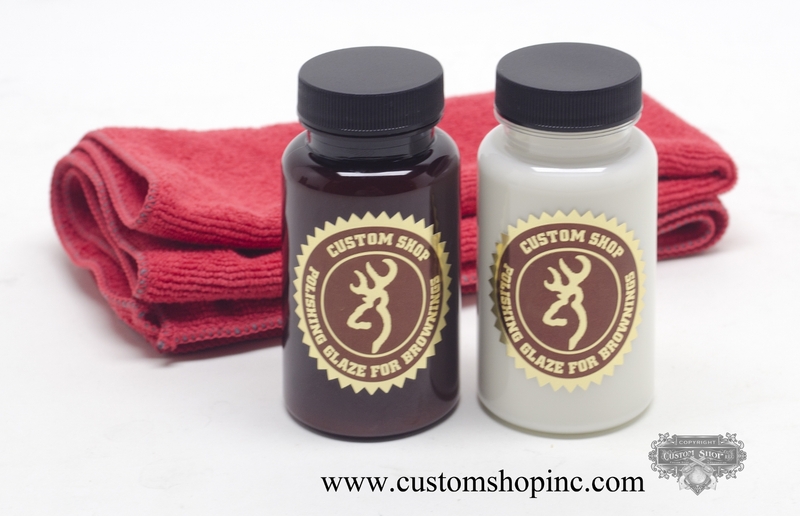 Our Polishing Products Were Introduced At The Tulsa Gun Show In 2006 And Became A Huge Hit. Make That 97%’er A 99! Buy The 2 Pack Today And Put The Shine Back On Your High Gloss Stock. Great On Sako, Browning, Colt Sauer And All Other Gloss Finish Stocks. 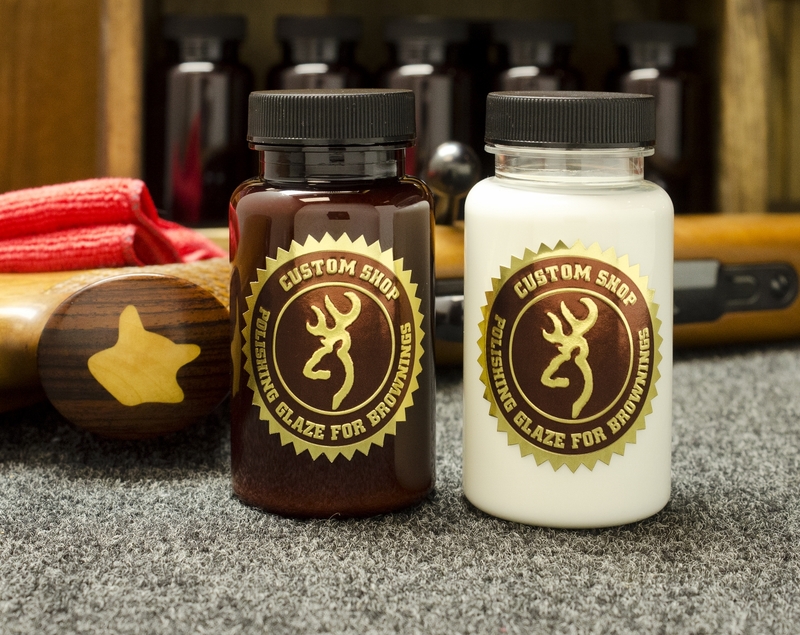 Look For Custom Shop Specialty Gun Care Products Online Today. $39.95 Plus $7.95 Priority Shipping.